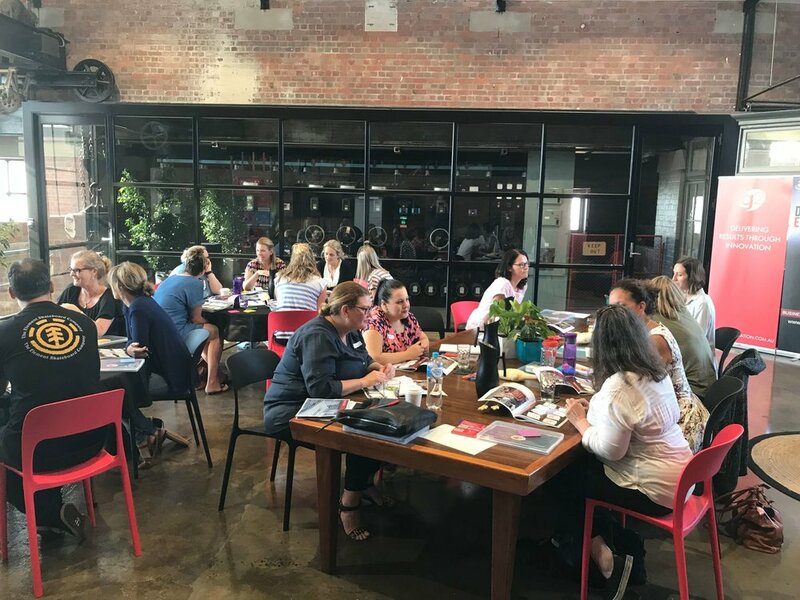 Situated in North Geelong's Innovation and Tech Hub, Federal Mills Park, our purpose designed training and meeting room comfortably accommodates 30 people at tables and 80 in theatre style. This light-filled room has large cathedral-like windows, a striking industrial power bank and beautiful polished floors that complement the eclectic heritage features of this old powerhouse. This training room is unmatched in the region for character and appeal. The room includes access to wifi, flip-chart, whiteboard and a large screen. The room features break out zones with comfy seating and greenery. Tea and coffee making facilities are included. The room can be configured to suit your needs. It is perfect for lectures, workshops, away-days and meetings. Whilst we do not provide catering, we can easily accommodate catering orders in our large fridge. Please note that the Powerhouse Training Room is located on the first floor. It is only accessible by stairs. Looking for something smaller? Our downstairs meeting room is fully accessible and can comfortably seat 6 - 8 people.